If your institution allows, you can upload an image to display behind the course card in the Canvas Dashboard. Accepted images include JPG, JPEG, GIF, and PNG files. For best practice, images should be approximately 262 pixels wide by 146 pixels high. 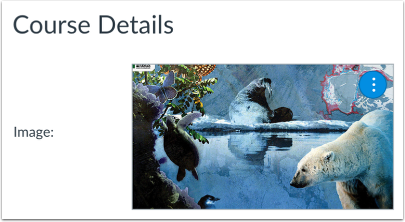 Note: Adding an image to a course card is currently a course opt-in feature. To enable this feature, learn how to manage feature options in the course features lesson. To upload your own image, drag and drop your image in your browser . Or, to browse your computer and locate an image, click the browse your computer link . 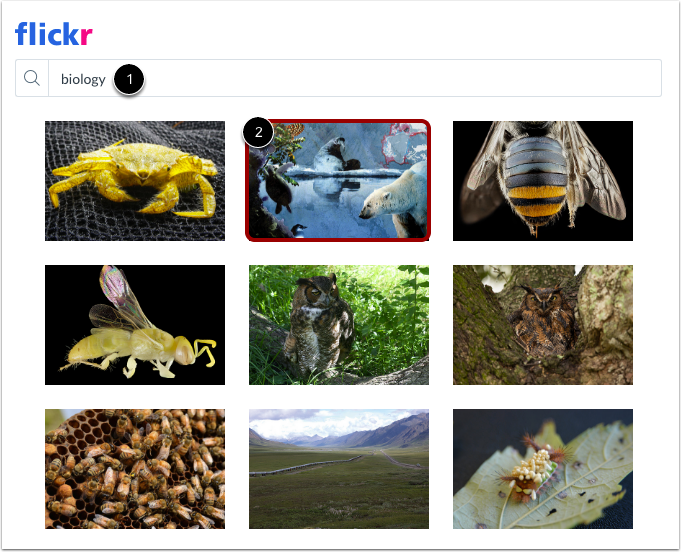 To use an image from Flickr, enter a search term in the Search field . Search results display all related images with a Creative Commons public domain license and may include more than one page. When you've found an image you want to use, click the image . View the image as it will be shown in the Dashboard course card. 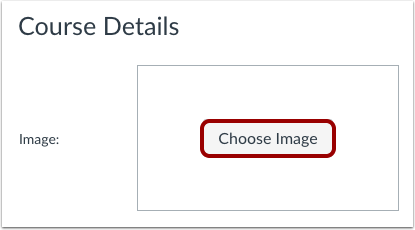 To manage the image, click the Options icon . To change the image and select a new one, click the Change image option . To remove the image completely, click the Remove image option . Previous Topic:How do I change a course name and course code? Next Topic:How do I set a time zone for a course? 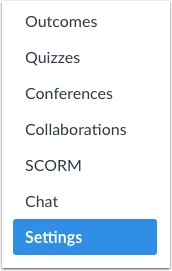 Table of Contents > Settings > How do I add an image to a course card in the Dashboard? Re: How do I get a picture on the "card" for my course on the dashboard?